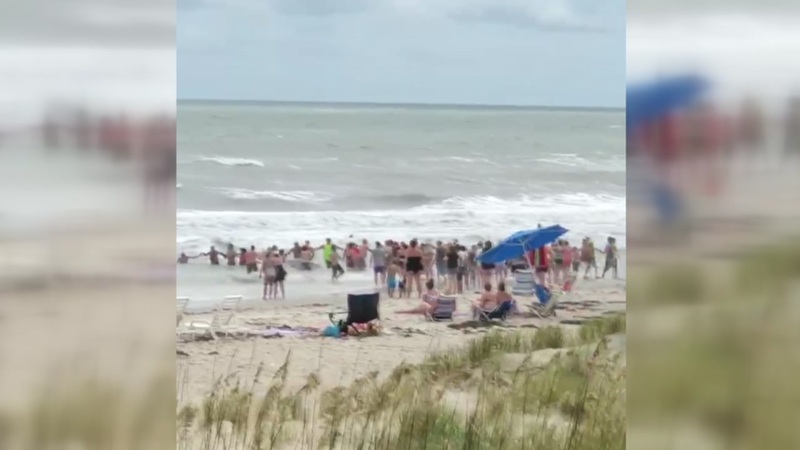 EMERALD ISLE, N.C. -- Emerald Isle officials said a woman visiting from Kentucky drowned Sunday night after reportedly getting caught up in a rip current with two others. Donna Sue Miller, 49, was swimming with a friend and the friend's 9-year-old daughter when they reportedly were caught in a rip current around 7 p.m. The friend and child made it back to shore safely, but Miller was found face down in the water and brought back to shore by bystanders. Emergency personnel performed CPR on the scene and while Miller was being transported to Carteret Healthcare. It happened near The Islander Hotel, where the group was staying for the trip. This comes less than two weeks after another drowning involving a 41-year-old man and a day of multiple water rescues between Emerald Isle and Atlantic Beach.